Thinking of which gift to give a person may not always be an easy task. If you know the person well or you know what they want to receive, it could help narrow down the choices. But, there are also instances when people are still uncertain on what to give as a present. In this case, the giver will simply select anything, depending on what they feel like whether the recipient will like the gift or not. 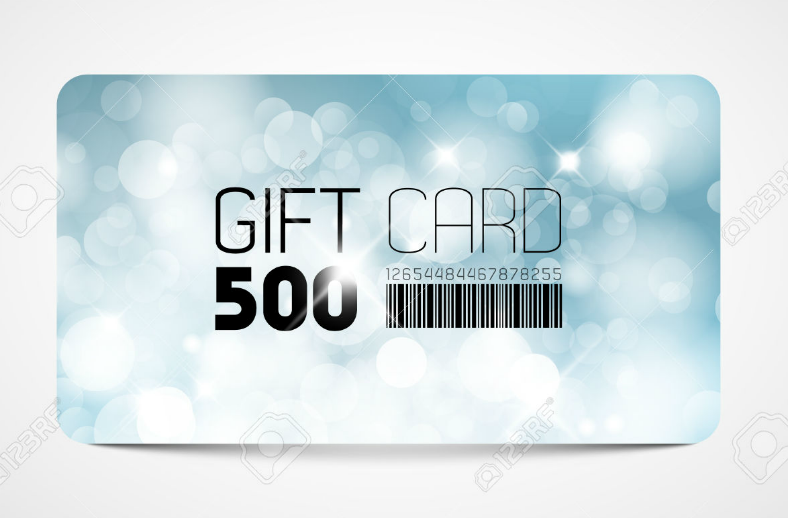 To be on the safe side, it is better to give gift cards inside a gift card envelope instead. It is the alternative payment method when making purchases or transactions at affiliated establishments. This way, it saves the giver the hassle of thinking too much about what to give, and it also provides the recipient with the freedom on when and how to use the gift card. 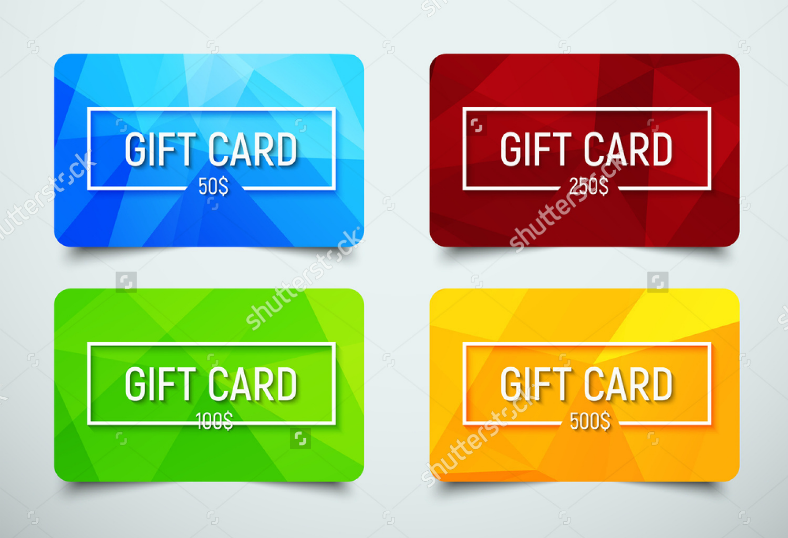 If your establishment is planning on selling gift cards to customers, then check out our collection of more the ten of the most colorful and creative gift card designs that you can find. 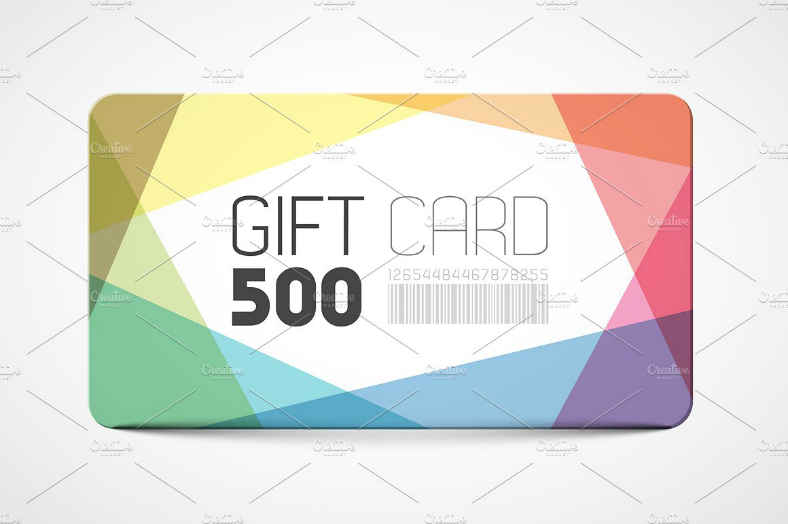 If you plan on creating a simple-looking gift card design that resembles a credit card, go for this one. The design itself is uncomplicated: the denomination is located on the lower right corner and the serial number is indicated on the middle portion of the front. Choose from among various colors, or download them all if you like, pack it up and add a gift label to add more meaning to it. You may choose this gift card design if you prefer a more straightforward appearance. 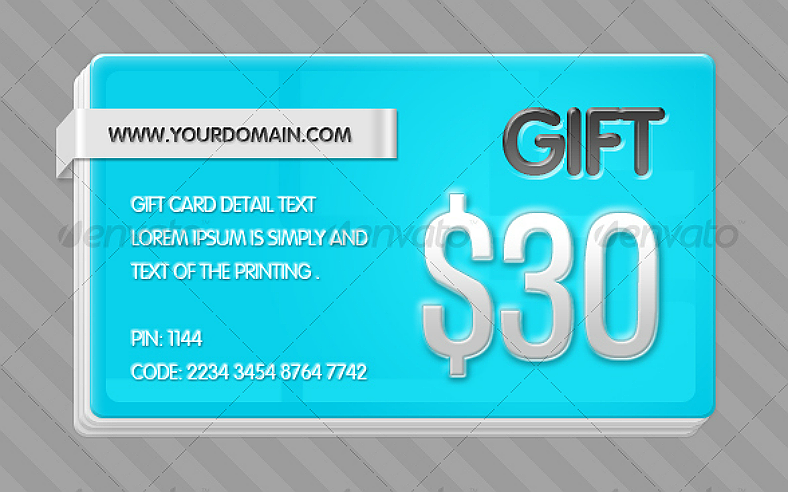 This design gives more emphasis on the denomination of the gift card by maximizing the size of the text. Aside from blue, there are also other colors that you can choose from such as red, pink, purple, violet, green, and yellow. Above is a gift card design that uses various colors, but the design itself embraces minimalism. Aside from all the colors used around the edges of the card, the only other feature on this design is the text in the middle, which simply bears the label of the card and its corresponding denomination. The samples above are ideal for those who prefer a more creative and artistic approach to gift card designs. 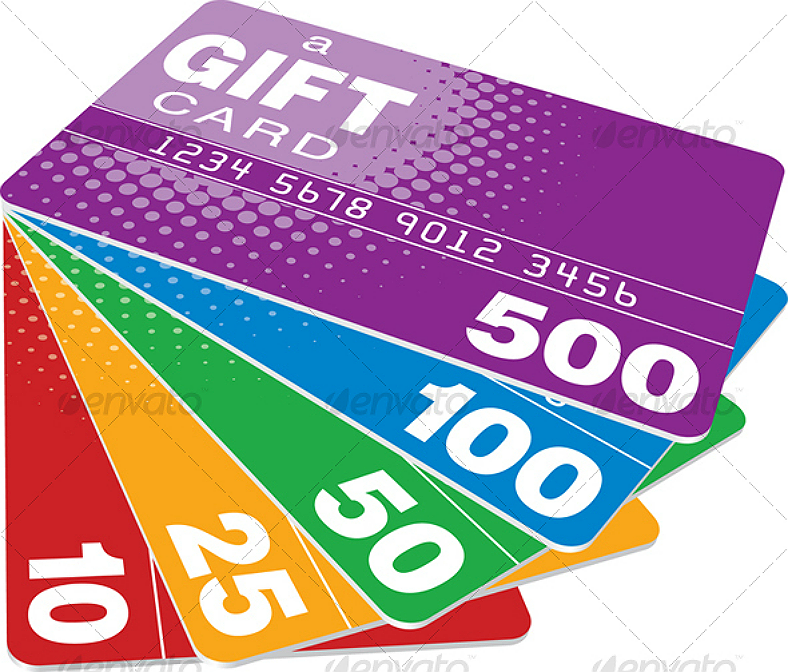 Choose from blue, purple, or green for you gift card, with each color representing a specific value. The best feature on this design is found on the rightmost edge of the card, which is an image that represents a lotus and each petal is in a different color. Because of this card’s creative value, it could pass as one of the most creative gift ideas you could give. Flat designs are the simplest ones you can find yet you can still make them appealing and attractive. Take logos and computer icons, for example. It has become a trend to use a flat design because it is uncomplicated but still serves the purpose of being a symbol for identification. Flat gift card designs lean more toward simplicity but you can still identify them as a gift card. The blue-colored card could pass as one of best gifts to give to a man, while the pink one could be one of the best gifts for a woman. This gift card design is a balance between simplicity and abstract art. The foreground displays the text and the denomination enclosed in a frame, while the background has an abstract polygonal image is found. For a gift card design that is simple but not dull, and artistic but not too harsh on the eyes, this one is the best one there is. Refer to our gift packaging designs if you wish to pack your gift card and give it as a surprise. 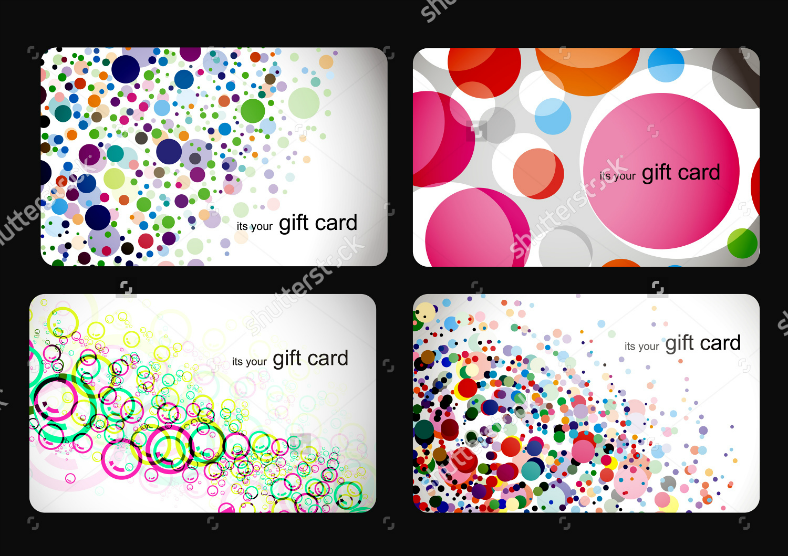 These gift card designs lean more toward the abstract art in the background, and keeps the text at its minimal yet legible size. 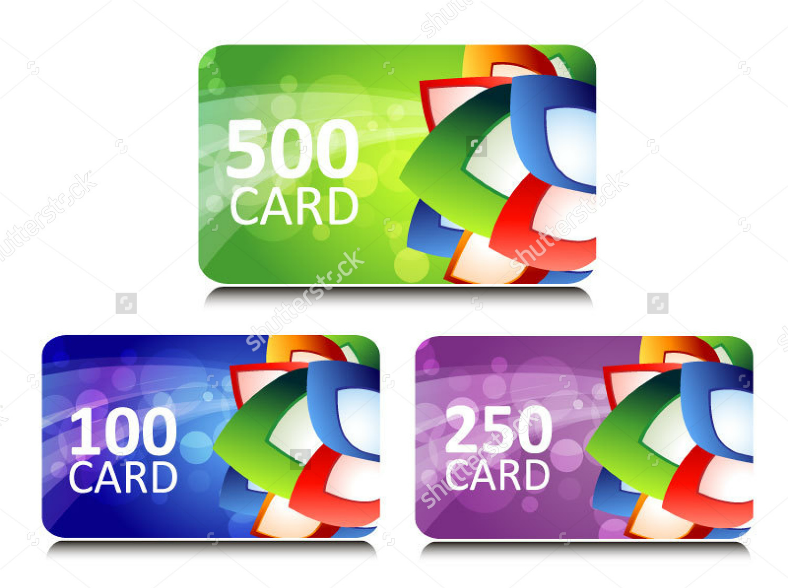 With these gift card designs, the holder will most likely focus on the beauty of the colorful shapes. This way, in cases that the gift card can not be reloaded with an amount after it has been consumed, it is still worth keeping for collection purposes. Wrap this card up and attach a gift tag and this could end up as a wonderful present to someone special. This gift card design above simply bears the label, the denomination, and the bar code on the foreground. As simple as it gets, the background image is in light blue and the illusion of lens flare effects is the one adding to the creativity of this design giving it a sparkling appearance. Above is a gift card design that bears a patterned streak of watercolor paint. 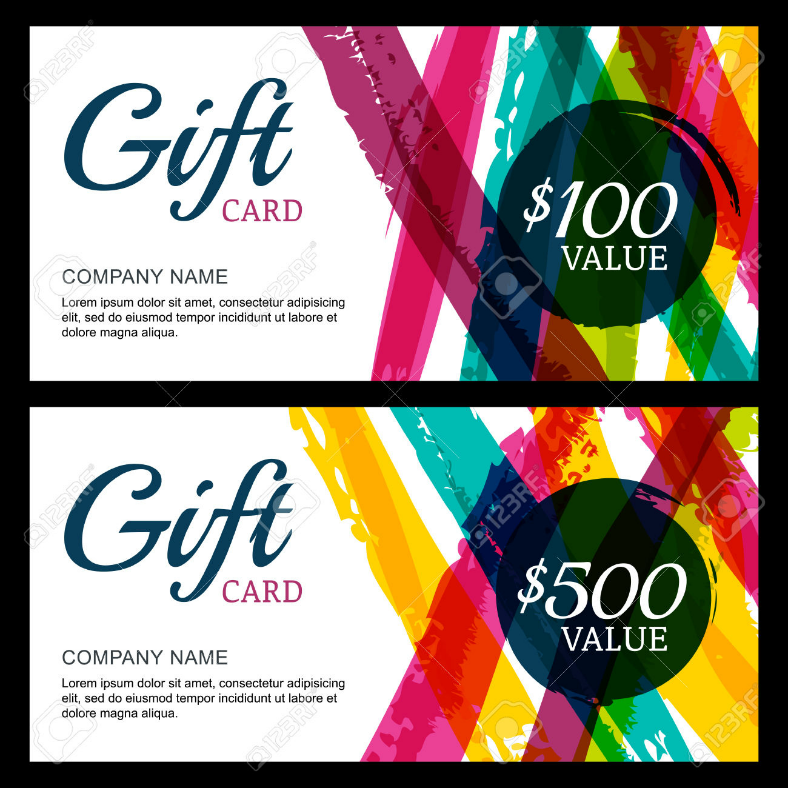 It is simply there for decorative purposes and to enhance the appearance of the gift card. The watercolor streaks only occupy the right half of the design, leaving white space on the left half where the label and the company name is found. If you are in need of a last minute gift idea, then go for this one. As you have seen, the gift card designs that we have on our website mean more than just the value they hold. People may be tempted to keep these gift cards for as long as they want. 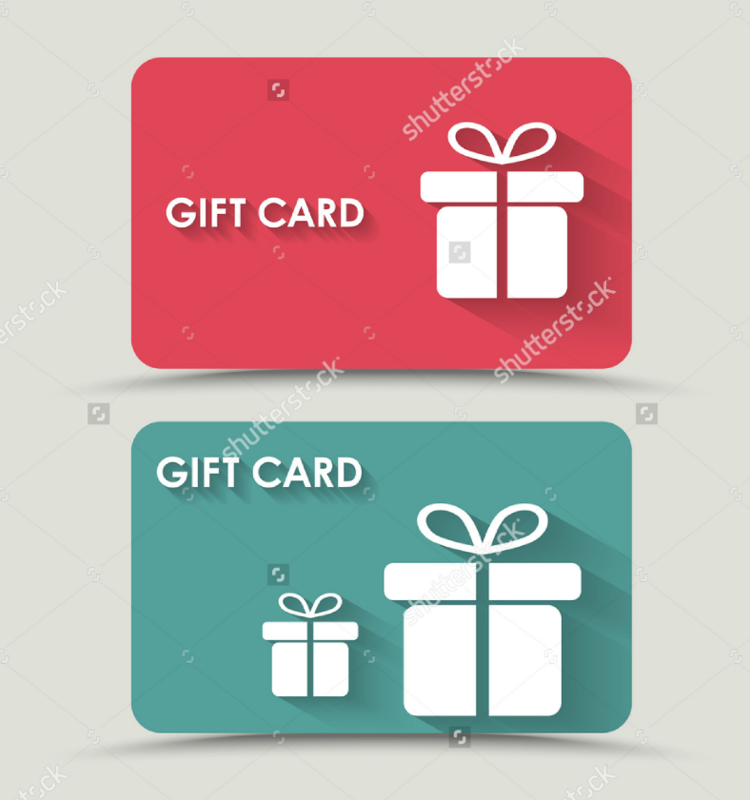 Even for gift cards that only hold a fixed value and can not be reloaded after the initial amount has be used up, the holder will most likely treasure these gift cards merely because of the design it holds. 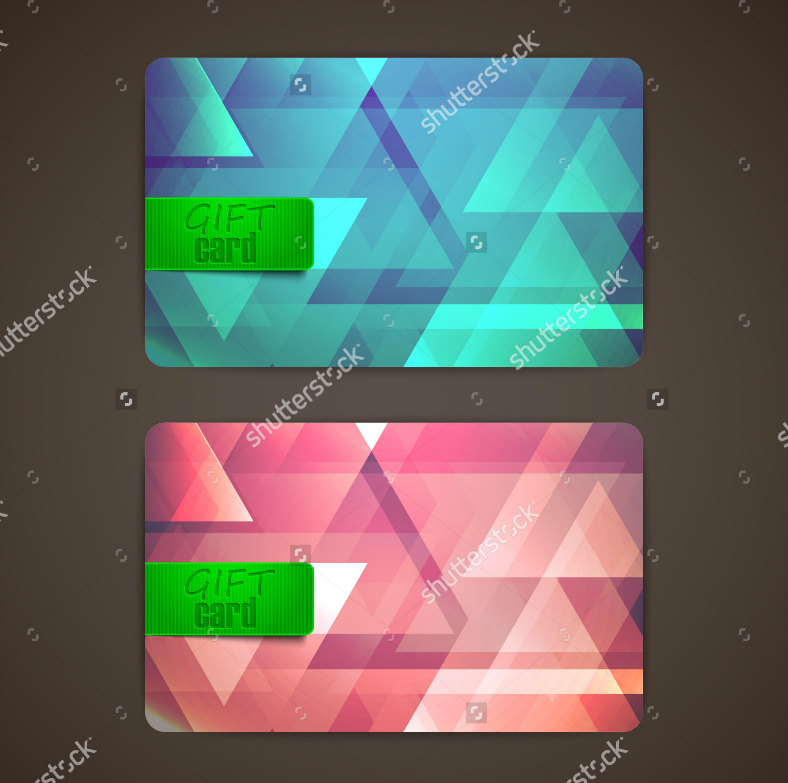 These gift card designs can be downloaded easily and at a very reasonable fee, if not, they’re free! Simply click on the download button, pay the corresponding fee, if there is any, and the design is all yours. These designs are also fully editable and customizable to give you the freedom to your gift card according to your preference. Just make sure to use the appropriate editing tool such as Adobe programs for a smoother editing process. So what are you waiting for? Check out our list and download now!